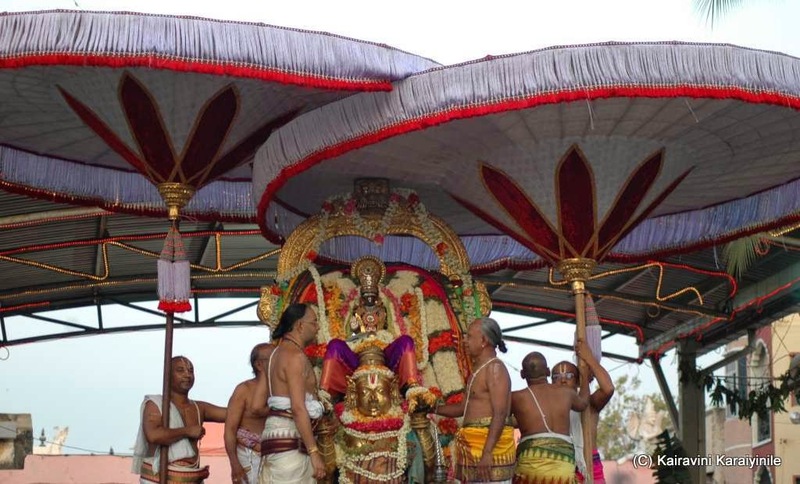 Today [17th April 2014] is the third day of Sri Parthasarathi Perumal Brahmothsavam at Thiruvallikkeni and this morning was the fabulous purappadu – Garuda Sevai. 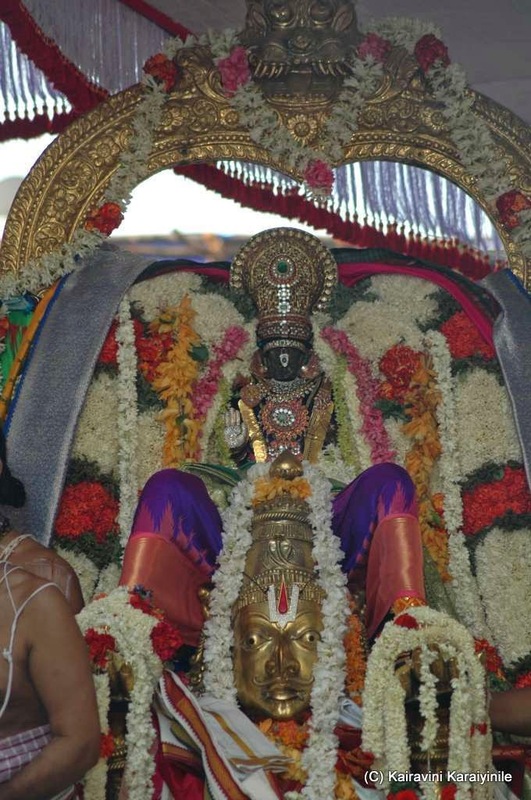 Thousands waited to have glimpse of Lord as he came out of the eastern gate sitting on Garuda. Then there was the decorative ‘aesal’ at Thulasinga Perumal Kovil Street. 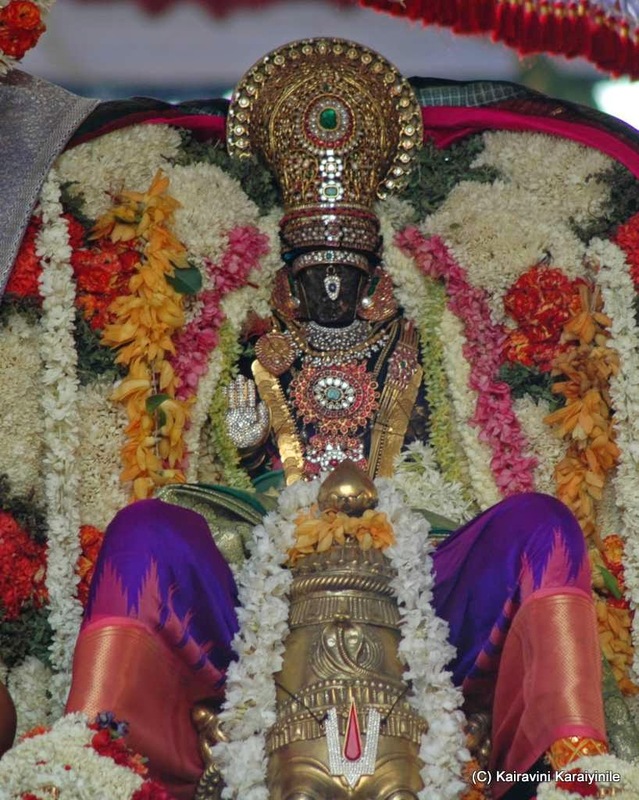 On this day, people from far and wide come to the temple, offer vasthram, place before the Lord coconut, fruits & other offerings and have darshan. In the words of Peyalwar, the feet that measured the earth has the hue of lotus; his body has the hue of the ocean that surrounds the earth, the glorious kreedam (crown) dazzles like the radiance of the Sun ~ the beauty and radiance of the Lord holding Thiru Azhi (Chakkaram) is immeasurable and beyond compare… !!! எம்பெருமானுக்கு எப்போதும் கைங்கர்யம் செய்யும் கருடாழ்வார் (பெரிய) திருவடி என சிறப்பிக்கப்படுகிறார். அழகான பட்டு உடுத்திய கருடனின் மீது பெருமாள் எழுந்து அருளும் கருட சேவை மிக அழகும் கம்பீரமும் நிறைந்தது. 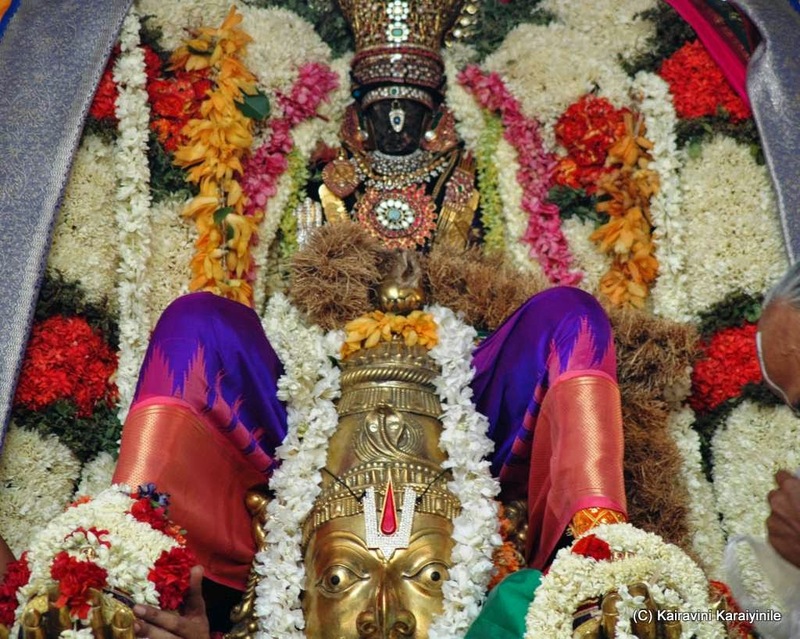 கருடன், காச்யபர் என்கிற மகரிஷிக்கும் வினதைக்கும் பிறந்தவர். 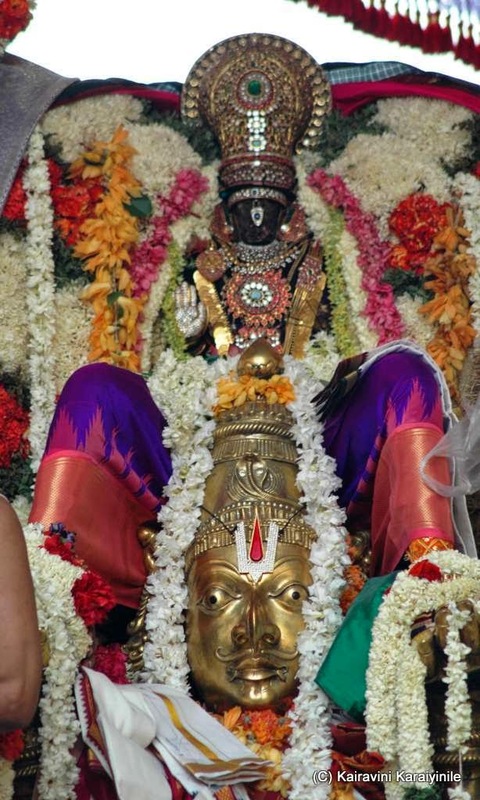 'வினதை சிறுவன்' என பெரியாழ்வார் மங்களாசாசனம். வினதையின் மற்றொரு புதல்வன் அருணன், சூரியனுக்கு தேரோட்டி என்றும் ஐதீஹம். 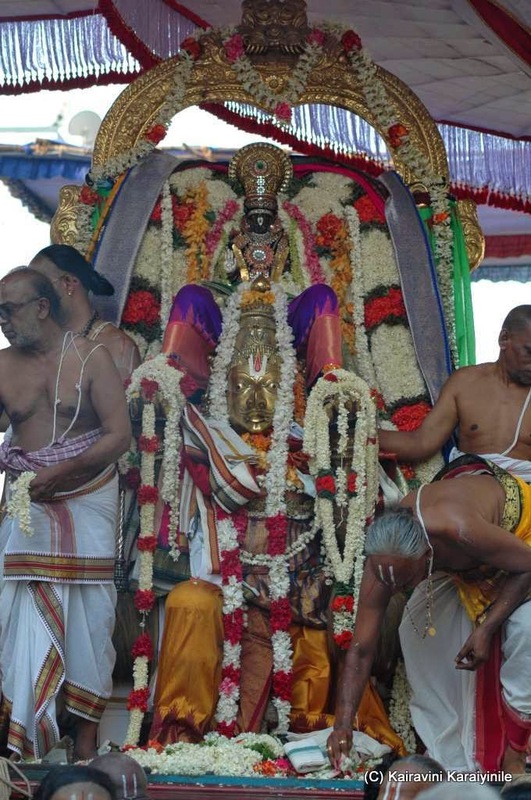 Here are some photos taken at Thiruvallikkeni during the Garuda Sevai purappadu. 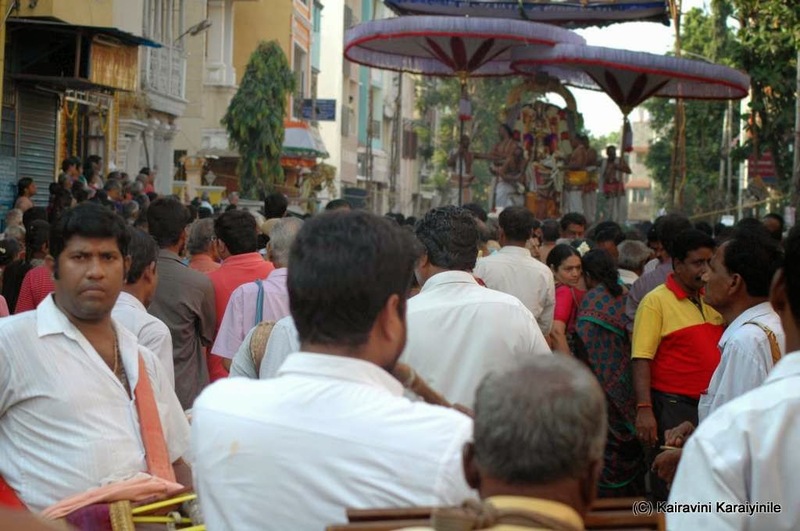 The purappadu started at around 05.30 am and with so much of devotees, it took close to 3 hours to reach the Gangai Kondan Mandapam itself …. at the time of posting this.